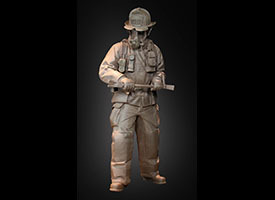 In this limited edition sculpture, of which five will ever be made, “Forced Entry,” shows in extreme detail a firefighter rushing to the rescue. Grasped in both hands, ready to be utilized at a moment’s notice, is a tool called a Halligan. Used to breach a door in order to save victims trapped within a building, the tool also has numerous other applications, including auto extrication. For the viewer, it’s as if this first responder is indeed actively functioning. 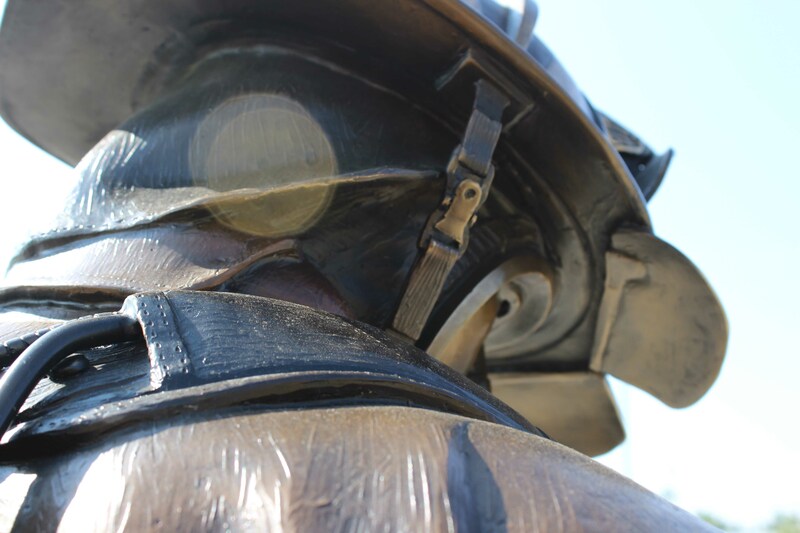 The depth of the firefighter’s eyes, seen clearly above his mask, reveal someone trained in emergencies but also very human. From the uniform to the amount of gear he wears, there is a sense of realism. 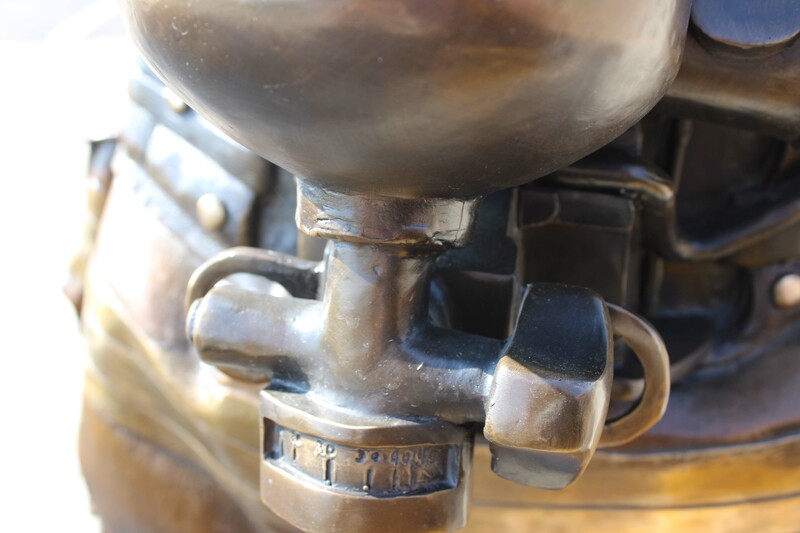 Every nuance of the oxygen tank and other implements he either carries or wears include specific aspects of the tools of the trade. 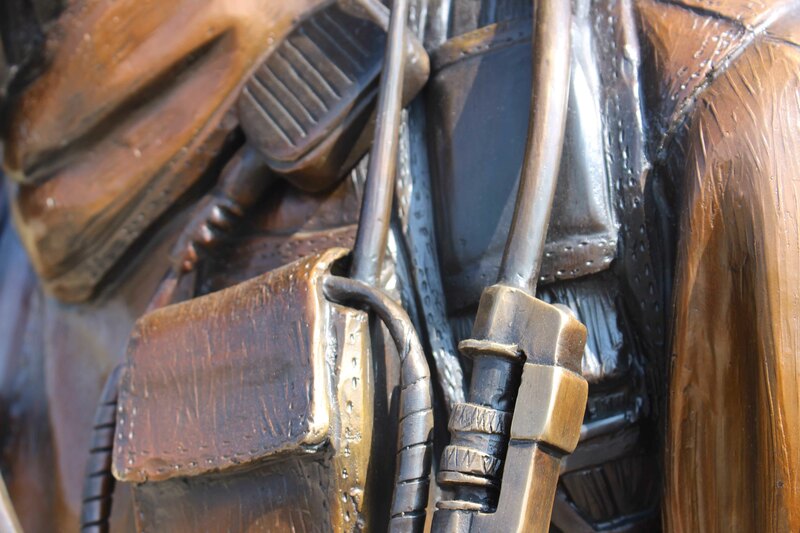 His features and heavy-duty fire retardant uniform are finely chiseled, with such distinctive elements as different shades on the gloves. The slightly hunched posture indicates forward momentum. Of particular note, the red, white and blue flag on the upper right sleeve is intentionally backward. 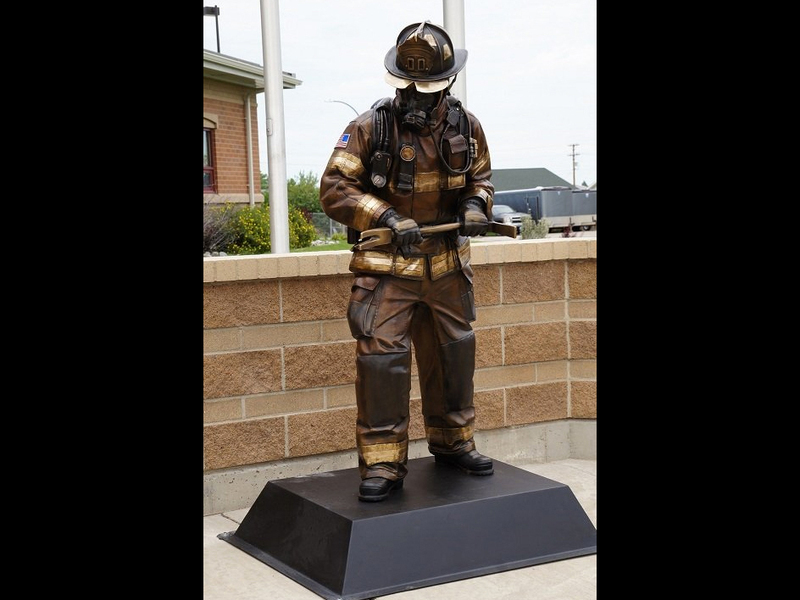 Adopted from the military into the fire department, it signifies the flag flying toward battle.